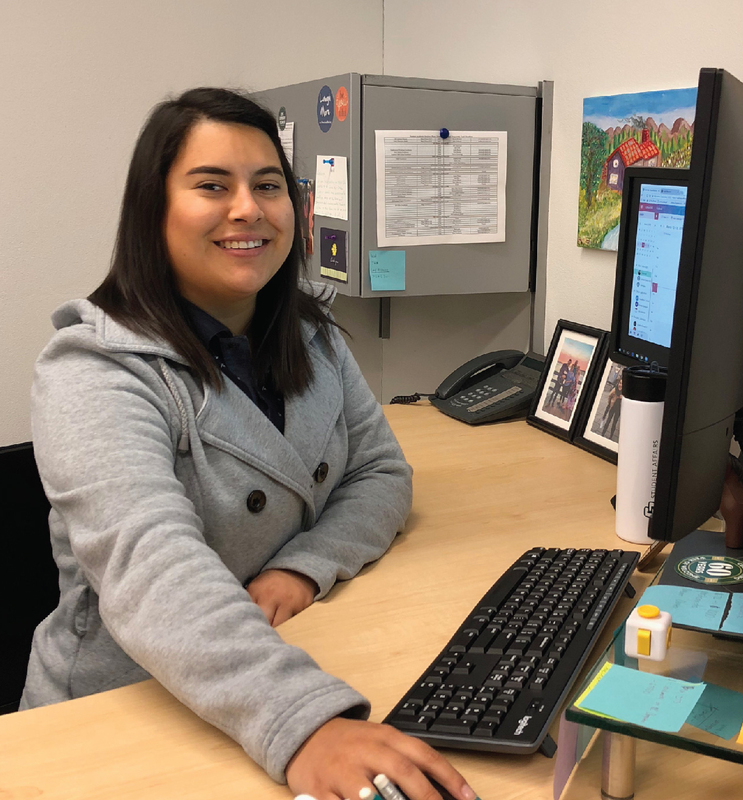 As Cal Poly’s first Dream Center Coordinator, Katherine Zevallos Pastor has big goals in mind when it comes to helping undocumented and historically underrepresented students pursue their dreams. A Peruvian native, Pastor joined Cal Poly after a short but notable career supporting underrepresented students at Cal State Fullerton, State University of New York at Albany, Chaffey College and Azusa Pacific University. Recently, Pastor gave us a glimpse into her role, her motivations, and her passion for helping undocumented students at Cal Poly. What motivated you to come to Cal Poly and serve as the Coordinator for the Dream Center? One of the main things that motivated me was knowing that Cal Poly hasn’t been a diverse campus historically. I knew at the time that there would be a small number of undocumented students here, but that their needs would be big and having a Dream Center would be vital to their success. After meeting the students, I knew that I could use everything I’ve experienced and overcome to help them be successful. I could relate to students in a way that maybe others couldn’t because of my own experiences. That’s really important to me, being able to connect with the students on a personal level. Tell me about your experience working with undocumented individuals and families? My first experience was in 2010 as a student in community college, when I met a group of individuals who identified as dreamers. A lot of the staff and faculty didn’t have the tools they needed to support these students, who were undocumented and unafraid. So, we decided to support other students by creating a student club called the Dream Catcher’s Club. If a new student joined our club, we’d help them fill out their AB 540 tuition exemption form. This information wasn’t readily available at the time. It’s something we took upon ourselves to learn more about and help other students. Later on, I worked as a counselor apprentice at Chaffey College, and I remember working with one student who was paying out-of-state tuition as a part-time student while supporting herself. She didn’t know that she was AB540 eligible and able to receive state aid for her education. In fact, she was shocked when I told her. So, I helped her through the process of filling out all the necessary forms and she ended up receiving a refund for the out-of-state tuition she already paid. It completely changed her life because for the first time, she was able to go to school fulltime and not worry about finances. It felt really gratifying but it also alarmed me, knowing that so many students were unaware of these resources. It’s one of the experiences that pushed me to come to Cal Poly. What does your day-to-day work look like as the center’s coordinator? Funny enough, every day looks different. I could be doing something like crisis management or holding meetings with different partners on campus. Sometimes it’s having tough conversations with students when it comes to our political climate. What would you like the community ­to know about undocumented students? First of all, they’re students just like anyone else is. What I mean by that is that they have struggles and they have fears, but they also have strengths and values that should be validated. Their journeys need to be validated not only by staff working on behalf of undocumented students, but by any office or resource they encounter. It’s really important that when they go outside and seek resources, that people are going to treat them like people. That’s my goal in educating the broader community at Cal Poly. Although we do identify them as undocumented students, they also want to be identified as Cal Poly students. That’s who they are. It’s about building their identity without being solely focused on their status, but also who they are, what they’ve overcome and how they’ve been successful at Cal Poly. They’ve achieved a lot of things just like their peers. They have similar GPAs and qualifications when it comes to applying to Cal Poly. I think that’s important to talk about and validate with our students. How has the Dream Center impacted Cal Poly’s campus climate in its short existence? I believe it’s had a strong impact. When the center launched, there was finally a space where students could come in and get connected to resources that help their academic journeys. I’ve also seen more support from faculty and staff – more intentional support, I should say. I think the undocumented students who visit the center are happy to know that the campus supports them. They feel safe there and it’s a place to connect with people like them, peers with similar backgrounds. It helps them feel like they’re not alone – they have friends here who understand their struggles and victories because they’ve been through them too. What are your goals for the Dream Center – both immediate and long-term? My short-term goal is for the center to be well known here on campus. There are still areas within Cal Poly that do not know about the Dream Center. Right now, I’m working to get more volunteers and interns to help me do that outreach and introduce the Dream Center to people and spaces on campus. Long-term, I want to see us provide more financial support for students. That’s the number one question I’m asked. Can you connect me to a scholarship? Can you connect me to loans available to undocumented students? I’d love to see more support for the Dream Center Fund, which we established to help us continue our center’s mission. I also see us building partnerships with local nonprofits to support students and their families. The family aspect is something that isn’t talked about all of the time. A student’s stress, anxiety and fears can come from their family’s status as well. I’d also like to see us broaden the image of who we’re serving. There’s a variety of students who are undocumented and they have various cultures and identities. So, we’re planning to work with identity-based programs on campus to increase awareness and visibility for the students we support. Support the Dream Center and its students! Your gift can make a meaningful difference in the center's mission to support undocumented Cal Poly students. Click here to make a contribution!